Ross Smith played from 2005 to the PDC Circuit but decided after he was runner-up of the Youth WDF Europe Cups 2007 to switch to the BDO. 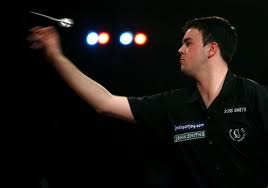 2009 he qualified for the BDO World Championship by the qualifier but lost first round to Scott Waites. 2011 he qualified again and this time played himself with wins over Tony O'Shea and Willy van de Wiel into the quarterfinals where he lost to Martin Adams. After the World Championship 2012 he announced he would try his luck with the PDC and joined Qualifying School. Ross Smith won himself a Tour Card and now plays again the PDC Pro Tour. He qualified for the UK Open and the first and the third event of the PDC European Tour.